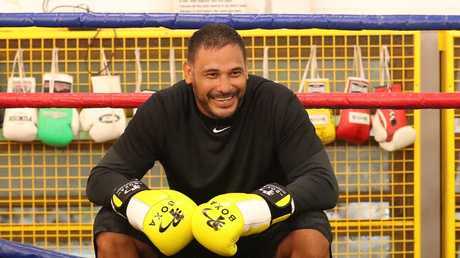 Former Broncos captain Justin Hodges during boxing training at The Boxing Shop gym, Nathan. Photo: Liam Kidston. 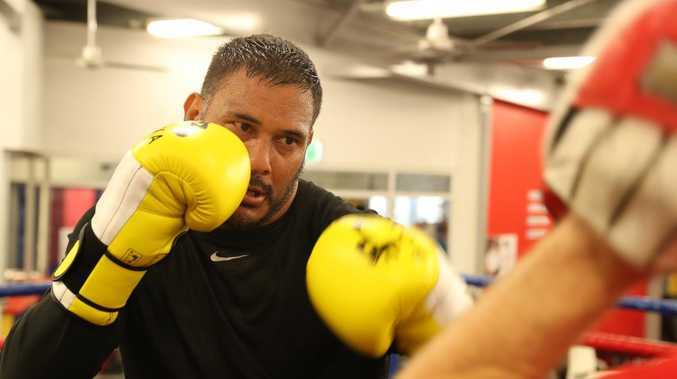 WELL-KNOWN Brisbane boxing trainer Gareth Williams has been working with former Brisbane Bronco Justin Hodges for about nine years. So when Hodges steps in the ring next month for his first professional fight, the Boxing Shop owner will be there in the rugby league star's corner. Mr Williams, a former Australian national amateur coach, said he couldn't be more proud of Hodges' efforts. "I've been coaching him all these years," Mr Williams said. "He's a champion, a great guy who's always got time for people. "He's definitely an underdog." Mr Williams said Hodges was the "most high-profile" person he had coached. "He just wants to have a go - he told me 'the one thing I don't want to do is disrespect the sport'," Mr Williams said. "As an athlete, losing is not something he talks about - he says 'I am here to win'." 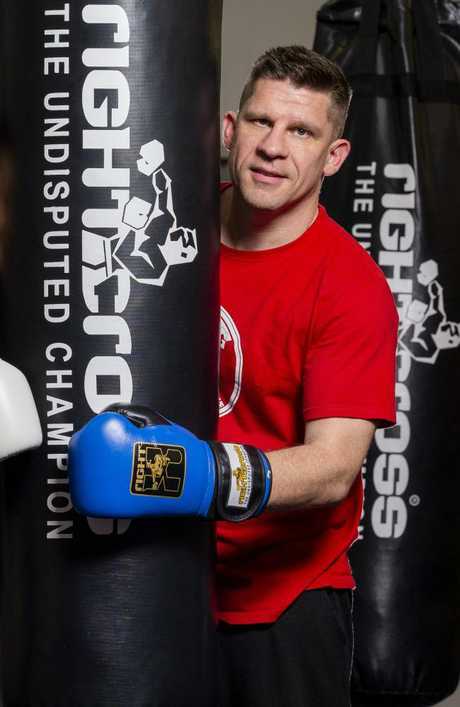 Mr Williams said Hodges had ramped up his training from one session daily, to two ahead of his February 8 fight. He said there was a "lot to improve" but his charge had certainly shown a natural ability in the ring, including "good hand speed". "I noticed once we made our mind up that this fight was going to happen, I saw the training and the attitude change from training generally just for health and fitness, and a bit of fun with the boys, to 'right, it's business time now'. "He's got a good jab, he's got some pop in his shots too, and he's got a bit of mongrel in him, as the NSW team would know."